This past week the Lords of the Pit in Chicago hosted a private Middle School event, which will be the first in a recurring series of events called Middle School Marauders (#MiddleSchoolMarauders on social media). 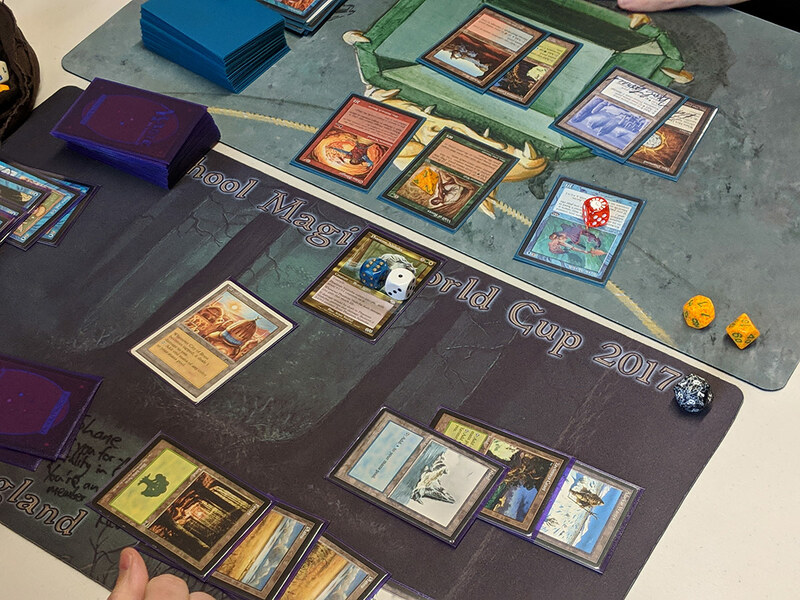 Future events in this series will likely be opened up to the public every month or two, and found on our Events page here, as well as posted online at https://twitter.com/middleschoolmtg. As usual, with most local events we try to keep things moving quickly so people can have fun and get in and out, and then go grab a meal with friends at night afterwards. 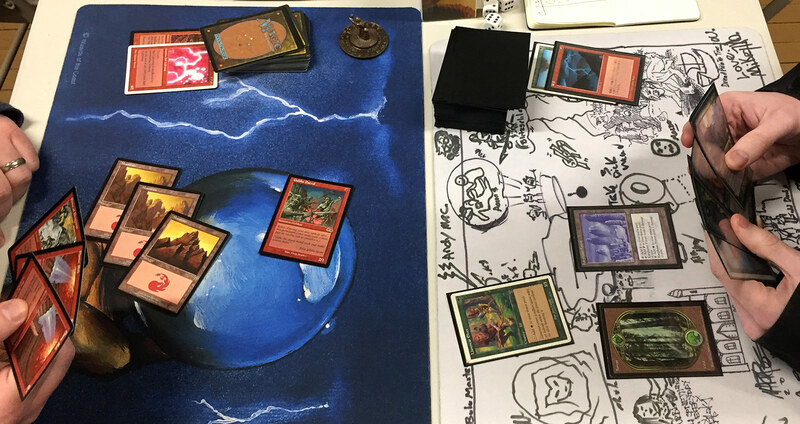 We often do Swiss+1 with no draws allowed, to encourage people to actually play Magic rather than draw matches, and this event ended up being 5 total rounds, based on the number of participants. 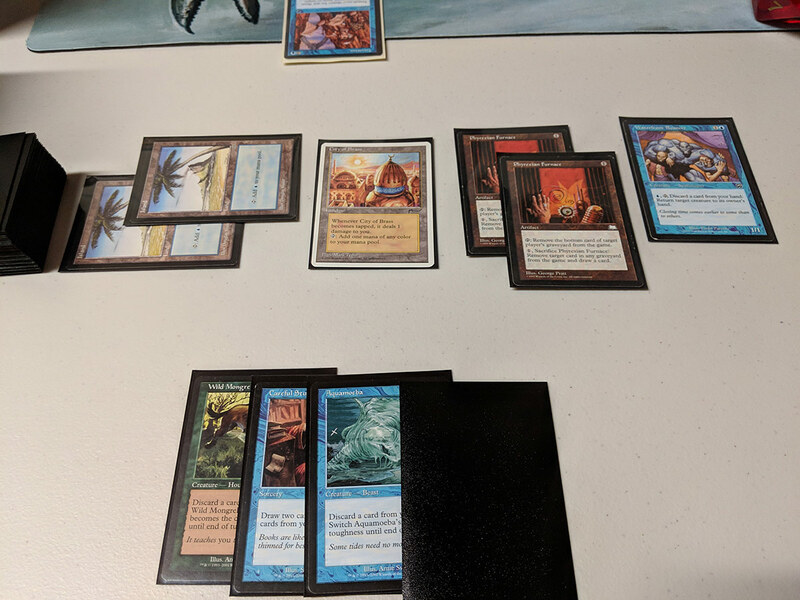 There ended up being a couple of similar or overlappping strategies, but overall it was a pretty mixed metagame with a dozen plus different strategies. We will not be posting many decklists from these events here on EC in the near future, but will instead continue to post full metagame breakdowns for each event, in order to give people a more general idea of what people are experimenting with and playing in events. 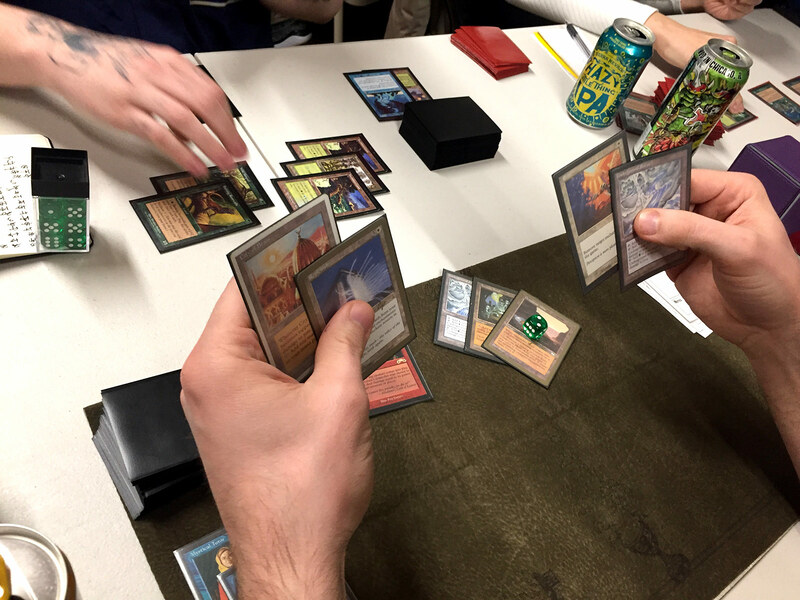 It’s a relatively new format to most people, so it is very much in the discovery and exploratory phases of Middle School deck development. 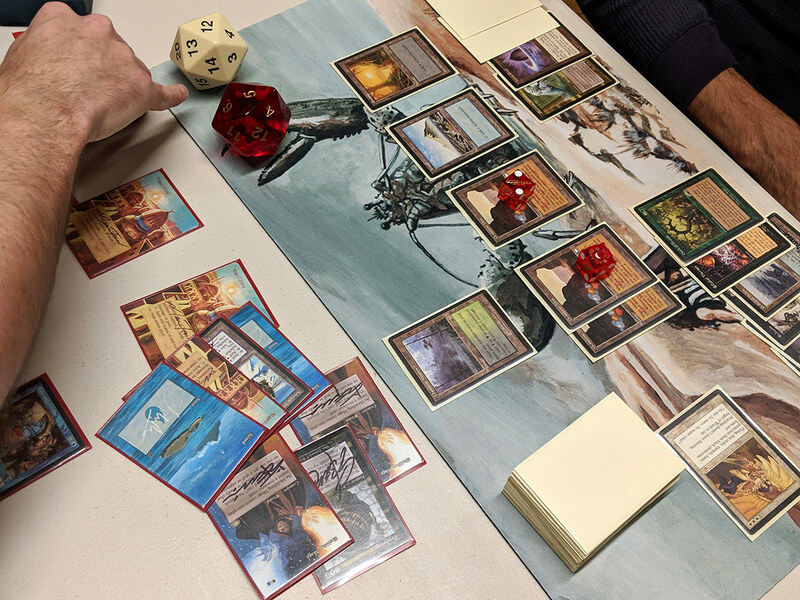 For deck ideas see our Introducing Middle School article, which has links to the rules and a number of historical events and decks of their respective eras, to get the creative juices flowing. From there you can begin to engineer some decklists, and then test and tune as you iterate! 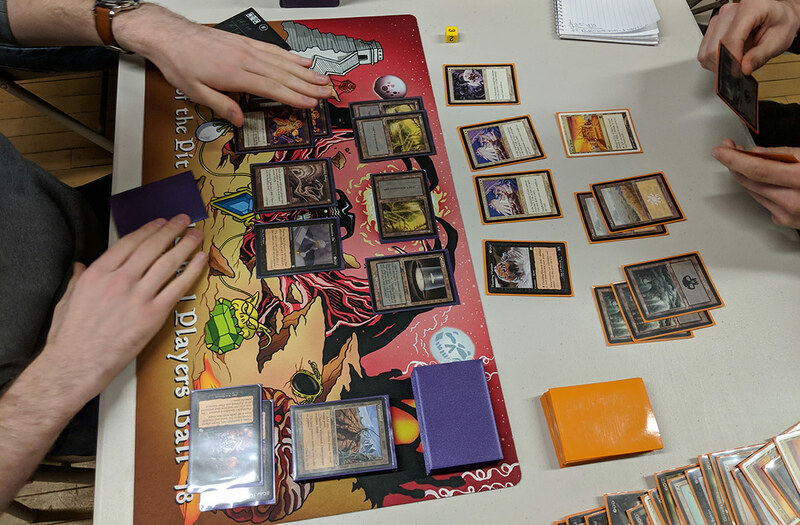 While we will not be publishing decklists from this event, below you can find plenty of pics from the games during the tournament, and see many of the cards in action. Thanks for reading, and we’ll catch you next time.